Labor Day Weekend comes a little earlier than usual this year, falling on the last weekend in August. Taking place in the officially hottest month of the summer means that there’s guaranteed to be perfect weather to enjoy the many outdoor activities going on for the holiday. The Merriment: Acres upon acres of fair festivities, day and night. Good for: Lots of stimulating, interactive fun for all ages. When-To-Go: Now until Sunday, Sept. 28, with varying hours of operation depending on the day. The $ Factor: Between $6 and $29.99 for adults, children, seniors and season passes. Parking Situation: Parking passes range from $15–$60. The 4-1-1: The Los Angeles County Fair is not your small town county fair! 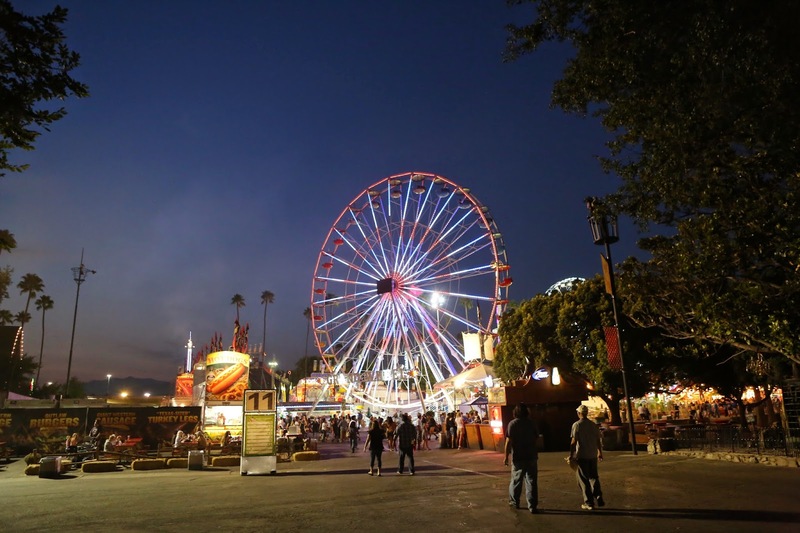 Launching Labor Day weekend and running until late September at the Fairplex in Pomona, it will feature the usual attractions you’d find at a fair—a petting zoo, an oddity show, lots of fair food options and carnival rides. But, it will also have a few unique features, including speciality Tasting Classes, an End of Summer Concert Series with award-winning artists like Charlie Wilson performing opening weekend, a massive monster truck show, and more than 300+ food options and 600+ vendors in the Shopping Marketplace. New attractions for this year include a nightclub, the Hall of Heroes and Luminasia, elaborate displays of scenes from the real world using larger-than-life Chinese lanterns. The fair is now in its 92nd year of operation. The Merriment: A three-day festival celebrating the culture and arts of the Pan African Diaspora. Good for: Becoming immersed in the sights, sounds and tastes of the local community. When-To-Go: Saturday, Sunday and Monday, 10 a.m.–7 p.m. Parking Situation: Nearby free and metered street parking and parking lots. The 4-1-1: The Leimert Park Village African Art & Music Festival picked up where the now defunct Los Angeles African Marketplace and Cultural Fare left off, providing the city with a chance to joyfully indulge in the food, music, dance, visual arts and spoken word of the African Diaspora. 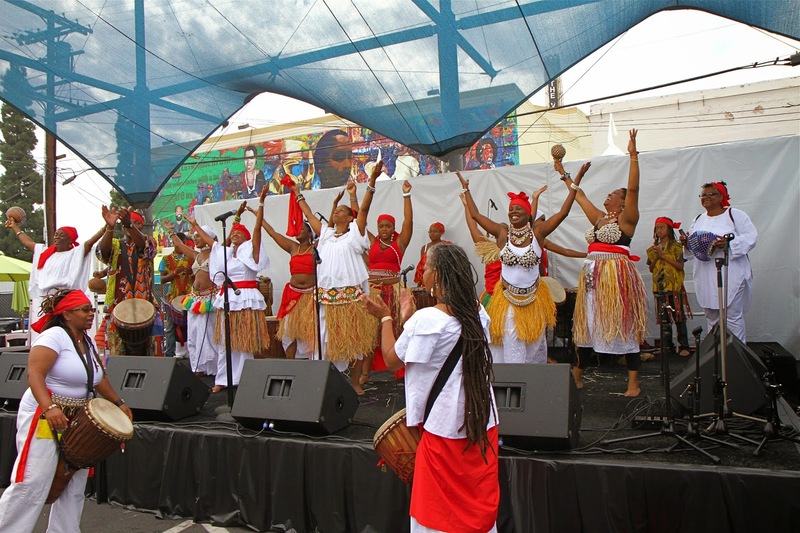 Since 2009, the Leimert Park Village Group, along with a number of other noteworthy partners, has hosted this lively festival in the epicenter of Leimert Park. Live musical entertainment, a daily Spoken Word & Comedy Showcase, the “Inspired by Africa” Fashion Show, a Hair, Health & Beauty Expo and numerous of food and consumer goods vendors will be present. Listen to the beats of African drum & dance troupes or participate in a dance contest; get pampered in the Women’s Beauty Bar & Lounge or the Men’s Grooming Tent; taste the savory flavor of Jamaican, Caribbean and Soul Food. No matter what you decide to do, there will be many ways to celebrate and appreciate the multi-faceted arts of the past, present and future. The Eats: A three-day showcase featuring the top chefs and restaurants of Los Angeles’ culinary scene. Good for: Anyone looking to get an insider’s look into the city’s exclusive restaurant scene while also getting up-close-and-personal with internationally renowned chefs, bartenders and industry key players. When-To-Go: Friday, Aug. 29, 7:30–11 p.m.; Saturday, Aug. 30, 11 a.m.–3 p.m. + 7:30–11 p.m.; and Sunday, Aug. 31, 11 a.m.–3 p.m. + 7:30–11 p.m. The $ Factor: Tickets range from $100 to $175 per event and include food, beer, wine and spirit tastings. The 4-1-1: At Paramount Studios, more than 130 restaurants will offer tastings of their top culinary creations! 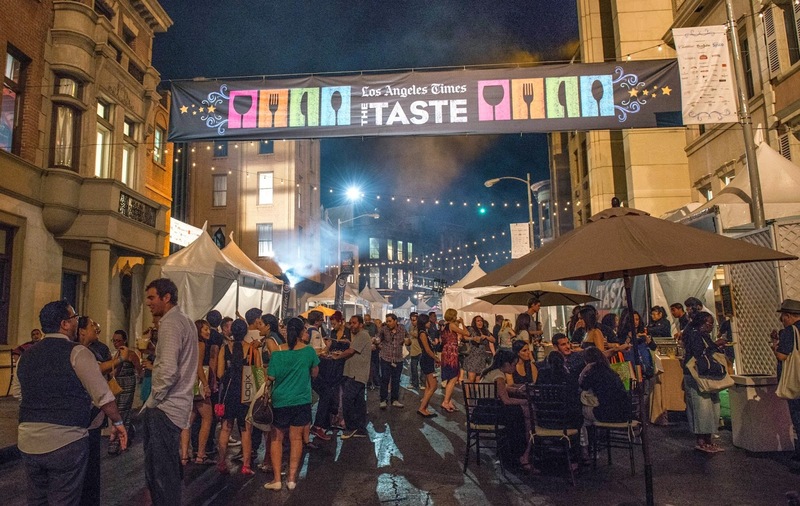 Weekend events include Friday’s Opening Night; Saturday’s “Field to Fork” with an emphasis on local ingredients and seasonal dishes; Saturday’s “Dinner with a Twist” with L.A. Times restaurant critic Jonathan Gold; Sunday’s “Sunday Brunch” with internationally acclaimed chef/restaurateur/cookbook writer Thomas Keller; and Sunday’s “Flavors of L.A.”, a dinner highlighting international dishes. On each day there will be multiple bar and culinary stages to visit, with cooking demonstrations by chefs, friendly cook-offs and informative presentations and panels with industry insiders. A few #WilsonsGuide restaurants that will be participating include: Bar Pintxo, CHAYA, Cliff’s Edge, Faith & Flower, Napa Valley Grille, Pono Burger, The Churchill, and Zinc at Shade Hotel. The Merriment: An evening watching film classics in one of the city’s oldest cemeteries. Good for: Not watching movies in a mundane movie theater, but instead at a unique location that has just as dramatic a historic storyline than any Hollywood film. When-To-Go: Saturday, Aug. 30, gates open at 6:30 p.m., movie starts at 8:30 p.m. Parking Situation: A nearby Paramount parking structure is $8 to park; all $15 Cemetery parking passes are now sold out. 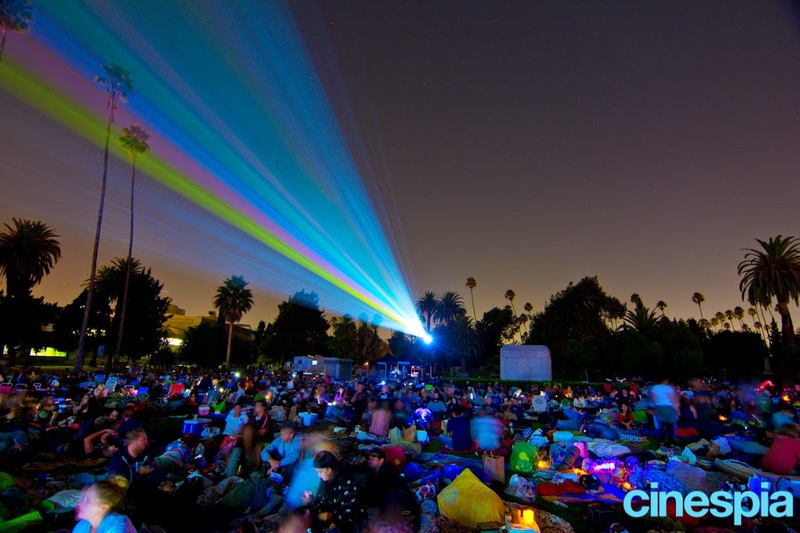 The 4-1-1: Not only happening on Labor Day Weekend but actually occurring every summer weekend and select holidays since 2002, the Cinespia series shows film favorites on a large screen to hundreds of people on the on the Fairbanks Lawn of the Hollywood Forever Cemetery. This upcoming Saturday for the holiday weekend, the Stanley Kubrick classic A Clockwork Orange will be shown and a DJ will energize the crowd both before and after the movie. It’s highly recommended to bring your own blankets and chairs (no higher than 21”), and food, wine and beer are permitted, but not spirits. Future movies until the end of September include Purple Rain, The Matrix, Pretty in Pink and Rosemary’ Baby. All ages welcome at this cemetery that is one of L.A.’s most intriguing landmarks, with countless permanent residents who were once Hollywood greats. The Merriment: The inaugural L.A. installment of the JAY Z-curated music festival. Good for: Music aficionados looking to hear a varied line-up of local and legendary performing artists, including DJs, rappers, singers, bands and more. When-To-Go: Saturday, Aug. 30 & Sunday. Aug. 31, starting at noon. Parking Situation: Nearby parking lots or accessible by the Metro; exit Civic Center/Grand Park station. 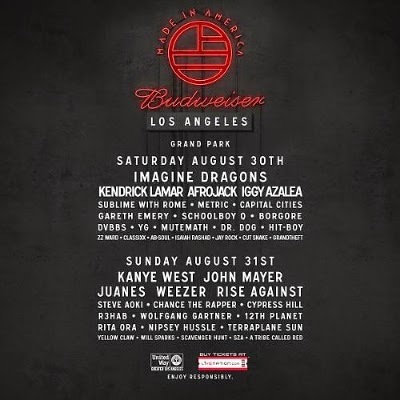 The 4-1-1: Launched 2012 in Philly, this is the first year that the Budweiser Made in America Festival is becoming bi-coastal and expanding into other cities, choosing the sunny City of Angels as its next destination. It’s also the first time a major festival will be staged in two cities simultaneously; while it’s happening at downtown’s L.A. Grand Park, it will also be taking place in Philadelphia’s Ben Franklin Parkway. Curated by JAY Z, the festival will feature more than 40 performances during its two-day run in L.A., by Iggy Azalea, Afrojack, Steve Aoki, Juanes, Cypress Hill, Juanes and more. Kendrick Lamar and Imagine Dragons will headline Saturday’s festival; Kanye West and John Mayer will headline Sunday’s. Beer gardens, food trucks and other activities will also be available. Let us know: How did you spend your last Labor Day weekend? *Disclaimer: I work for the parent company that is promoting this festival. All images are not my own; photo credit for The Taste: Marie Astrid Gonzalez for LATMG. When-To-Go: Sundays, 11 a.m. – 3 p.m. The 4-1-1: Sonny’s opened in 2013 and launched its brunch menu earlier in Spring 2014, adding a few additional items in July as well. It also has a bar program that features intricate libations and Tiki Tuesdays. I’ll Be Back…: For the Chickpea Pancakes! When I first read the entrees above, from Sonny’s Hideaway menu on the media invite I received, I blankly stared at my computer screen. The ingredients didn’t seem to make sense. What in the world was a ricotta funnel cake? Citrus custard—with sesame seeds? And chickpea pancakes? Was that correct? While I could most certainly read the words in front of me, I couldn’t even begin to imagine how what I read could all come together to be edible entrees, presented to me on a plate. Fortunately, Chef Alexander Abdel-Monem and Owner Derek Lyons (pictured below, respectively) didn’t seem to have the same creative culinary inhibitions that I had. One sunny summer Sunday at Sonny's Hideaway, with a handful of guests present, during our brunch, Abdel-Monem explained to us that when creating the menu, he wanted to feature popular brunch items that anyone could potentially make at home (side note: there’s no way I’d be able to recreate anything I ate at Sonny’s in my kitchen). He also mentioned that growing up in Florida heavily influenced his cooking style. After sampling about half of the brunch menu, a trend became apparent; each entrée distinctly has its own individual personality, no one dish the same—in taste, appearance or ingredients. And every entrée is as lovely to look at as it is to eat. In other words, Abdel-Monem's daring combinations work! Sonny’s also caters to everyone. There are plenty of options for the meat-lover and the vegetarian alike. There are both Sweet and Savory items, with a nice balance of light and heavier options, to satisfy all appetite sizes. The majority of the entrees incorporate some sort of fruit or vegetable, whether it’s the berry syrup with chunks of blueberries on the Brioche French Toast, the fried green tomatillos accompanying the Carnitas or the bed of fruit in the Passionfruit Custard. There are 12 entrees in total and also five sides, ranging from market greens to smoked home fries, eggs and bacon. The Passionfruit Custard – More of a sauce than an actual custard, it’s generously drizzled on a bed of fruit, including blackberries, raspberries, apples, oranges, pomegranates and passionfruit. This dish gets a big plus for the diversity of fruit and for the delicateness of the sweet, subtle sauce. A perfect starter to share. The Ricotta Fritters – Were a delight to eat. Dusted with powdered sugar, they’re crunchy on the outside and moist, fluffy and soft on the inside. I couldn’t make up my mind which sauce I liked better: the creamy chocolate, the hazelnut coffee, or a bit of both eaten at the same time. The Chickpea Pancakes – Here’s a savory take on the traditionally sweet pancake. While the actual pancake alone has its own unique earthy flavor, it’s really the toppings it’s paired with that make this entrée so good. Whole chickpeas are mixed with poignant Swiss chard, with thin slices of Parmesan finishing it. Very filling. The Fried Chicken – Includes fried chicken breasts, a pan poached egg and hollandaise perched neatly atop two buttermilk biscuits. I can’t fail to mention the creamy gravy on the plate, which should definitely be sopped up with a biscuit or two – it’s divine. Don’t let it go to waste! The Brioche French Toast – Exactly what French Toast should be: thick bread with a crunchy crust and a soft, warm center. It may seem like it’s a lot going on to have pecans, berry syrup and a cinnamon crème fraîche all covering the French Toast, but in reality, the flavors don’t overpower one another and in fact work very well together. The Citrus Beet Salad – Is an intriguing blend of lettuce, radishes, beets, orange and goat cheese, all underneath a creamy yogurt dressing. It’s large enough to be a brunch entrée, or also a nice portion to share. Another noteworthy mention is the Carnitas entrees. Since I don’t eat beef, I didn’t try the actual carnitas, but I did try everything else that comes with them – the delightfully tangy mix of pickled onions and peppers and fresh cilantro, the eggs with an avocado puree, and probably my favorite part, the delicious, golden-brown fried tomatillos, similar to fried tomatoes. 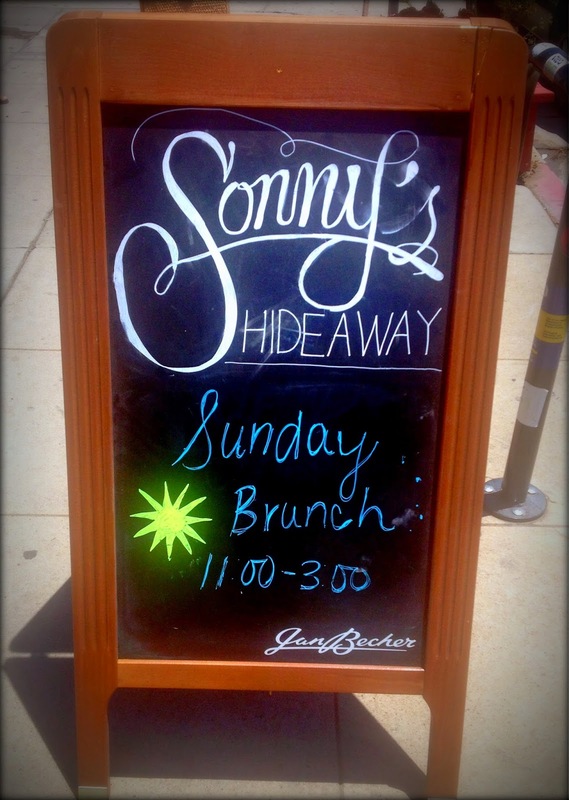 Just as the saying “don’t judge a book by its cover” goes, the lesson I've now learned about Sonny’s Hideaway brunch menu is clear: don’t judge an entrée by its menu description.